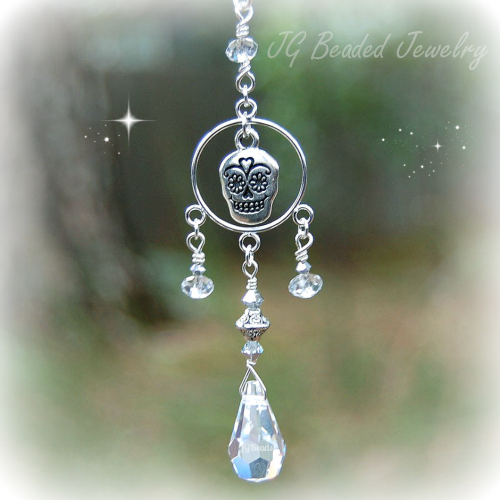 This opal guardian angel ornament can be hung from the rearview mirror, in a window or anywhere you choose! 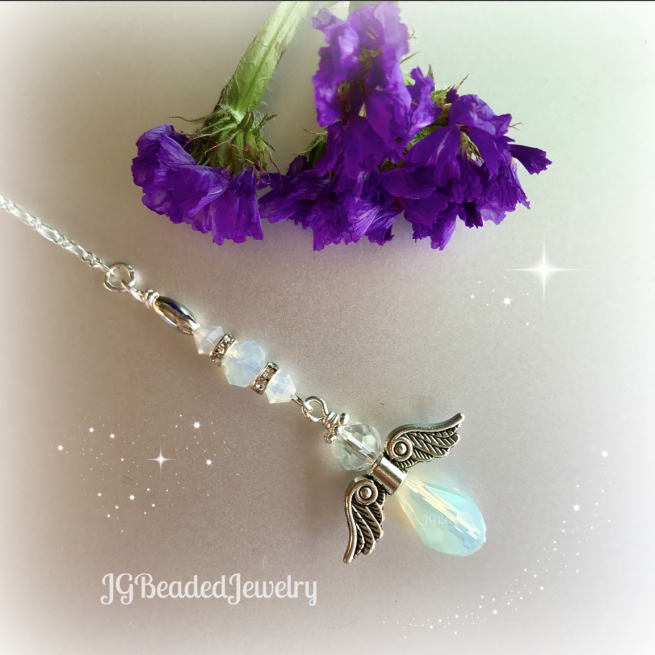 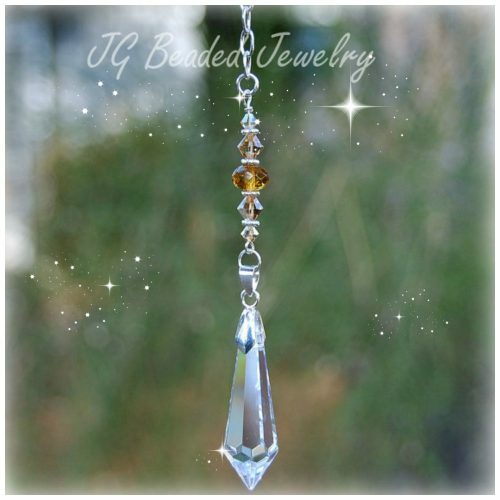 She is carefully handcrafted with attention to detail and uniquely designed with opal Swarovski crystals, opalescent faceted glass beads, detailed pewter angel wings and fancy silver metal beads. 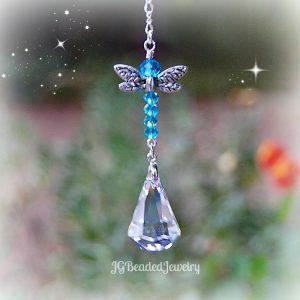 ♥ If you would like more than the quantity available, please message me with your request. She would be a thoughtful remembrance gift in memory of a loved one, for a new driver, or as a protection angel.